I am living in Europe and I usually have the Language set to German. 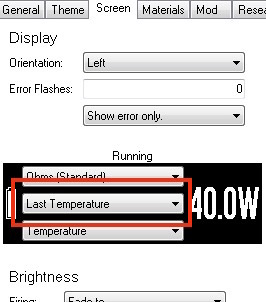 Not only for me it would be very fine if the Last Temperature value in the Screen tab could be set to Celsius (the temperature setting in TC mode is also possible in Celsius). Me 3, I would also like it in the TCR curves.